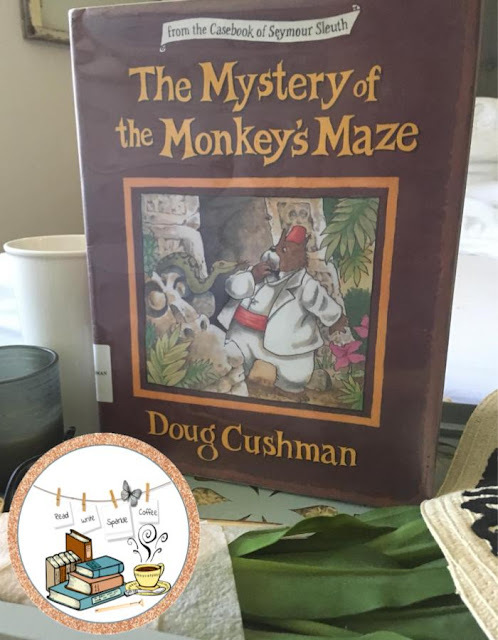 The Mystery of the Monkey's Maze by Doug Cushman is a delight to read aloud! A great picture book to stop and look at all the pictures, read all the extra notes, and discuss who you think is sending messages to stop the search of the black flower. I think this would be a great book to help get students actively thinking and making inferences based on the information presented in the book. How fun it would be to create literacy manipulatives (newspapers, the clues, notes, etc) for groups of students to use to help Seymour Sleuth with the case. Each time a new clue is presented or the detective stops to seek out what he knows, have each group do the same. Create journals for the students to take notes in as they find out more. Before finding out the correct character, stop and have the students choose who they believe it is. Have them form answers using evidence presented in the book. Once the book is finished, treat the students for their hard work and read aloud the book again from front to back to enjoy the story.